HARRISBURG, Pa. -- Judges for the Pennsylvania agency that regulates buses and taxis recommended on Tuesday a record $50 million fine against ride-sharing company Uber for operating in the state without approval. Two administrative law judges issued the decision, subject to approval by the Public Utility Commission, to punish Uber Technologies Inc. for rides by its subsidiaries from February 2014 until it received experimental authority six months later. The judges rejected Uber's argument that it did not run afoul of commission rules because it's a software company whose services aren't necessarily available to the public at large. "Uber took a more active role in providing transportation service than simply providing the Uber app for people with cars to use to provide rides for people who need transportation - it was not a disinterested invisible entity in the background," wrote judges Mary Long and Jeffrey Watson. Uber spokesman Taylor Bennett said the San Francisco-based company was disappointed and hoped to come to a "reasonable resolution" after being unable to settle with the commission. After a 30-day period to allow both sides to respond, the Public Utility Commission will consider the recommendation. If approved, it would be the largest fine ever imposed by the agency. 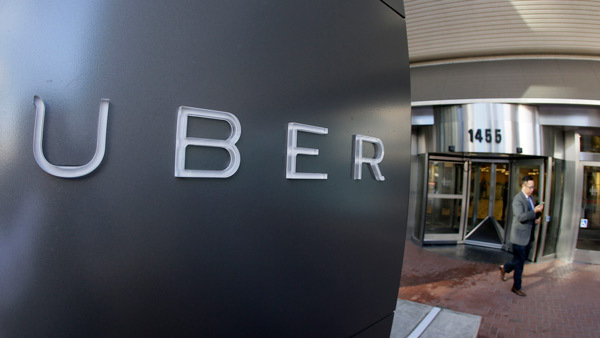 In summarizing the company's arguments, the judges said Uber claimed its conduct was not serious because it provides needed transportation alternatives, it believed a broker license held by a subsidiary was adequate and because the commission's investigation and enforcement arm did not prove any harm occurred. But the judges found that the company arranged a "large number" of trips - the precise figure was not listed - before a subsidiary obtained a two-year, emergency authorization by the state. Uber drivers had at least nine accidents during that period that could lead to an insurance claim, a company official told the judges. The proposed fine includes $73,000 related to Uber's actions during the investigation, including failures to produce documents as required, the judges said. "There is no question that Uber's conduct in the litigation of this complaint has been obstructive," Long and Watson wrote. The penalty was also enhanced by Uber's decision to continue to operate for more than a month after the commission imposed a cease-and-desist order. "In sum, there is no excuse for Uber's continued operations after July 1, 2014," the judges wrote. "Its decision to do so was a deliberate disregard of the commission's authority." They said Uber has shown no contrition, but has complied with commission directives since August 2014.